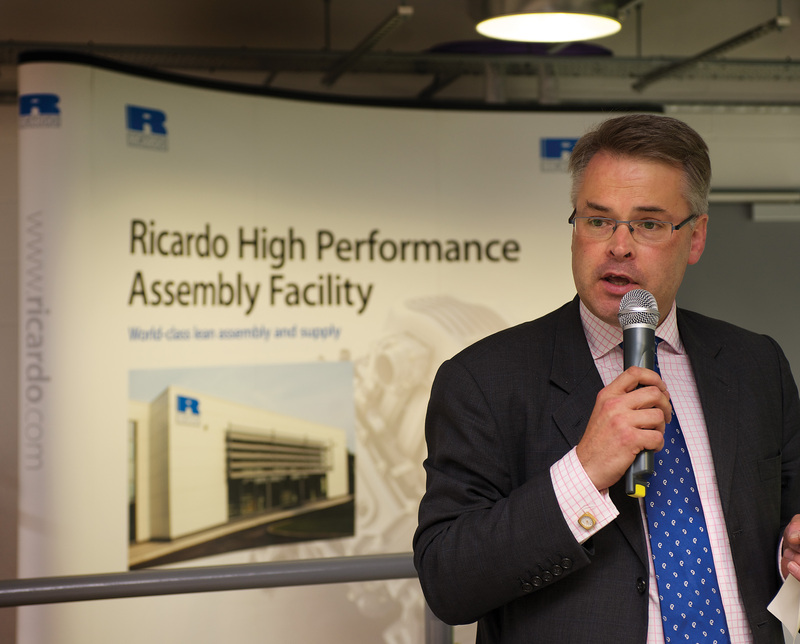 Ricardo’s new High Performance Assembly Facility was formally declared open today at the Shoreham Technical Centre, UK, by local Member of Parliament Tim Loughton. This brand-new state-of-the-art production facility provides a near clean room production environment in which each and every process is carried out according to strict quality principles and within a comprehensive ‘no faults forward’ culture. 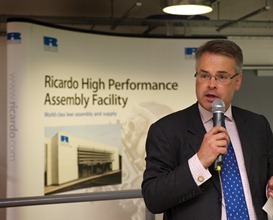 The facility builds upon the established reputation of the Ricardo Performance Products group which is already well known for the production of the advanced Ricardo-designed transmissions for the iconic Ford GT and the Bugatti Veyron supercar, as well as numerous driveline systems and components for the highest levels of competitive motorsport. At the core of the new facility – which has the capacity to produce 4000 engines annually across two daily shifts – is a ten station vertical conveyor based mini-line supported by incoming materials inspection and line-side delivery of components. Each station is equipped with a sophisticated ‘human-machine interface’ (HMI) providing guidance to each operator on the precise sequence of operations required at each stage. 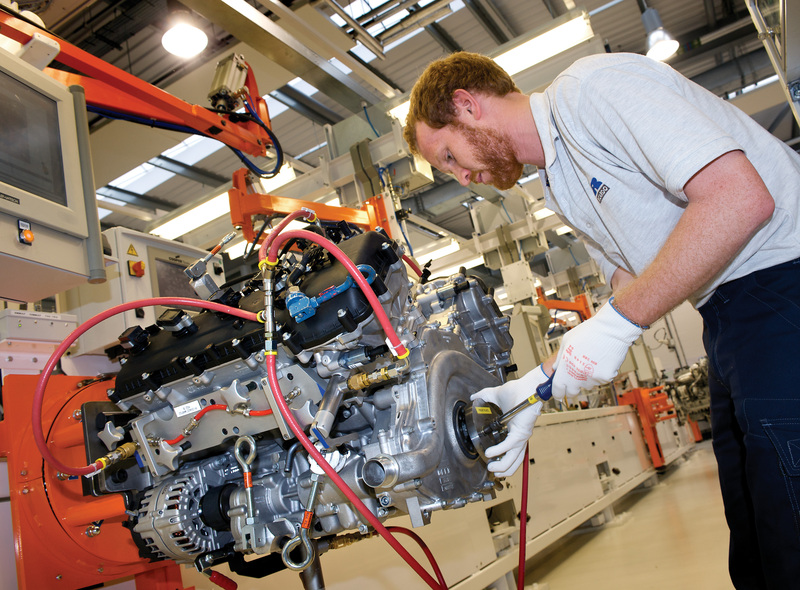 The tools and assembly equipment used at each station are instrumented and provide data – down to the level of the torque applied to each fastener – directly into a central warranty database for each engine built, and hence provide complete finished product traceability. Each line station is interlocked via its HMI to ensure that all operations and checks have been successfully completed and recorded before the line can be indexed and the engine moved forward to the next station. In addition to the main production line, the facility includes a cylinder head sub-assembly line, dress area and an end of line hot test cell that enabled the performance of every engine produced to be fully tested and validated. Designed and developed by Ricardo in partnership with McLaren, the state-of-the-art M838T 90 degree, V8 twin-turbo engine – the world’s greenest supercar engine – is truly class-leading in many key respects. 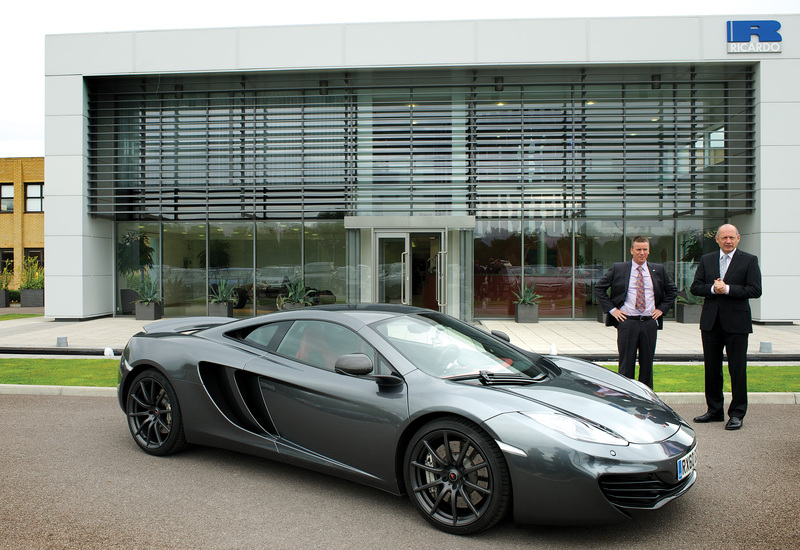 Using the latest materials and engine design technology, the engine delivers 600 horsepower and yet is sub 200kg and boasts emissions of just 279g/km CO2 in the McLaren MP4-12C high-performance sports car. Its fuel consumption is also class-leading, reflecting the use of an unrelenting focus on the reduction of internal friction. The resulting highly downsized engine represents a new benchmark for high performance turbo-charged engine design, providing an exceptional driving experience with instant throttle response and feedback. The brand engineering aspects of the design and development support provided by Ricardo extended also to the definition and creation of a sound quality that will become immediately recognizable to McLaren’s very sophisticated customers. 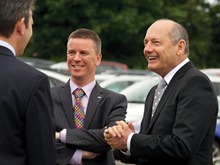 A full copy of this press release together with the accompanying images are available from the links at the top right of this page.